In 1891 the Boston and Montana Consolidated Copper and Silver Mining Company broke ground for a copper reduction works on the banks of the Missouri river across from the City of Great Falls. An electrolytic copper refinery and a furnace refinery were built the next year, which made possible the treatment from ore to commercial products. In 1910 the Anaconda Copper Mining Company took over the properties, designating them as the Great Falls Reduction Department. The operation gradually changed from copper concentrating and smelting to refining, wire and cable manufacture, and electrolytic zinc and cadmium production. 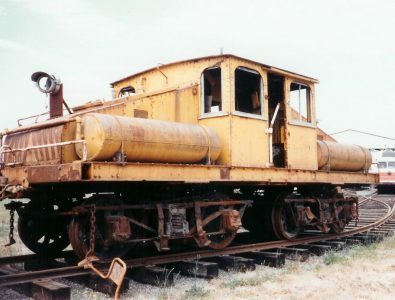 An electric railway system moved materials between the various departments. Nine miles of standard gauge track was supplied power by third rail carrying 550-volt direct current. 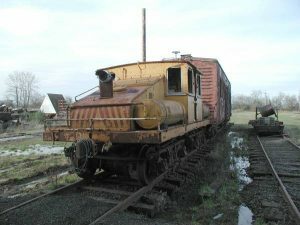 Motive power included a 40-ton motor, a 35-ton motor, four 25ton motors, a 15-ton motor, and two 10-ton motors. 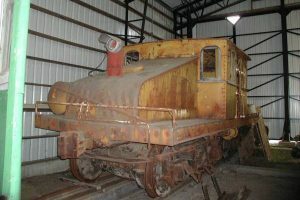 The locomotives were sold for scrap in 1973, and languished at the Weissman & Sons scrap yard until five of them were donated to the Museum.